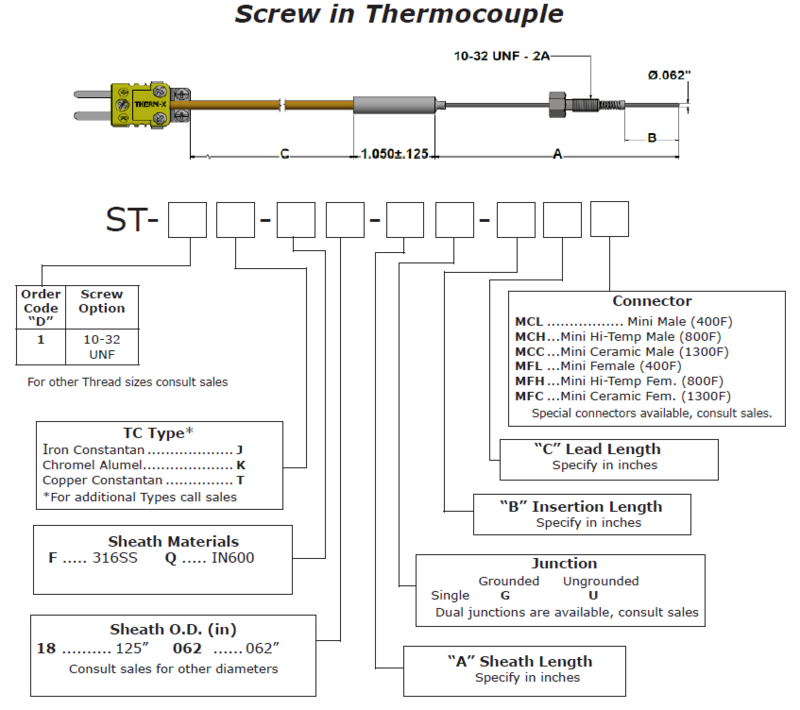 Therm-x specializes in Sensors for industrial control and measurement. 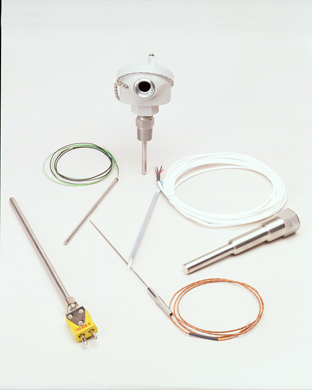 We design, manufacture and test Thermocouples and RTD sensors that are used in tightly controlled processes such as in vacuum process chambers and other mission critical applications. 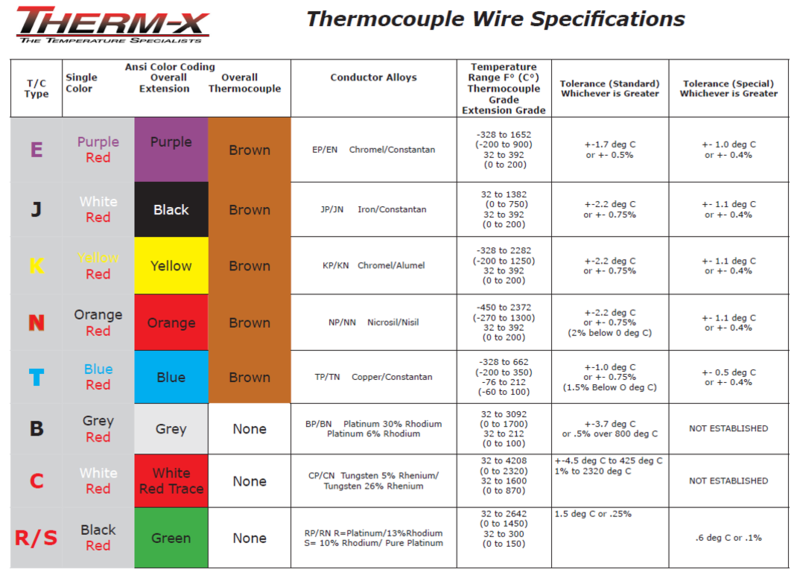 These thermocouples work great in any industry and operate in in vacuum or gases. 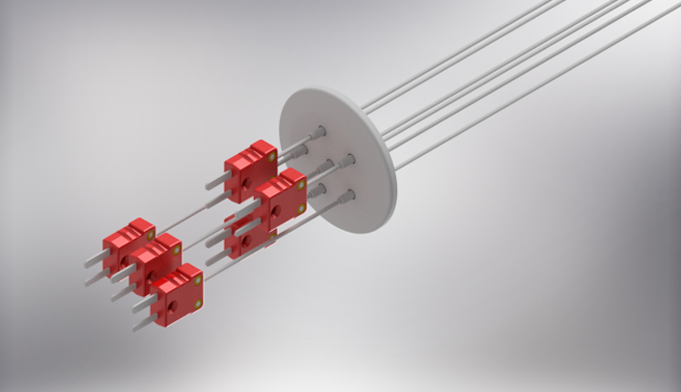 Spring loaded tip and threaded bushing ensure intimate contact and repeatability. 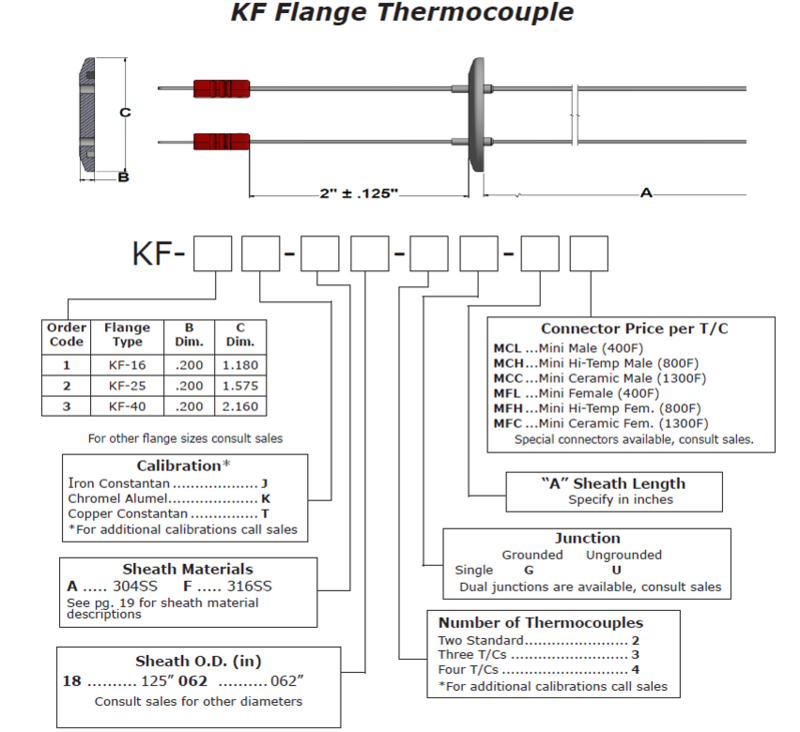 Sheath Diameter: ± .002" or ± 1% of nominal diameter, whichever is greater. 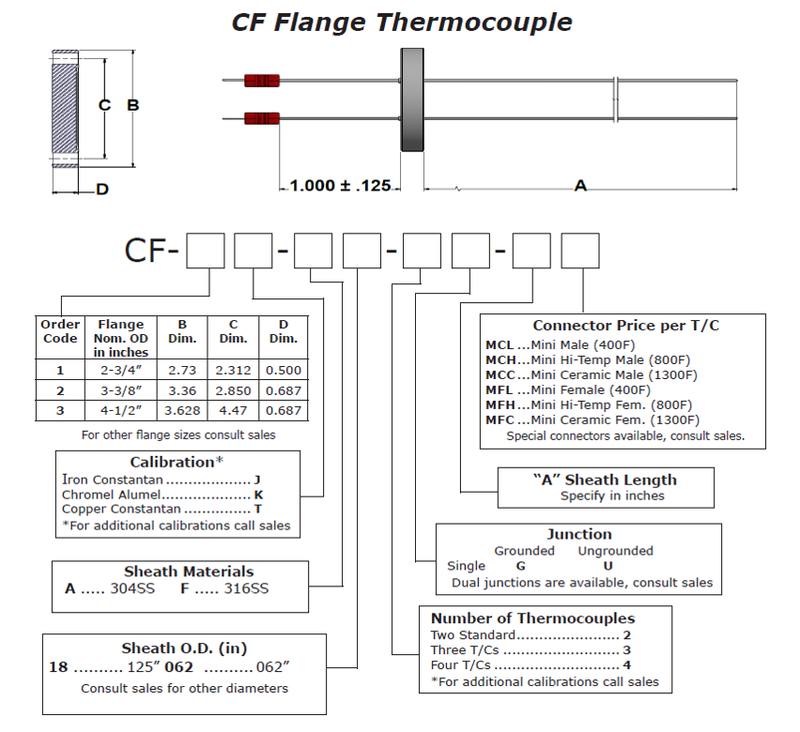 Wall Thickness: ± .0015" or ± 15% of nominal wall thickness, whichever is greater, 10% of diameter as a minimum. Insulation Temp. 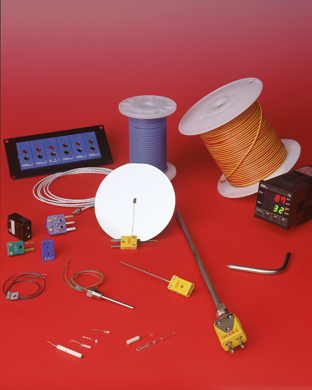 : Insulation is useable over a temperature range of -450°F to 3000°F without change of phase or chemical reaction with adjacent metals. Melting temperature of insulation is 4800°F. 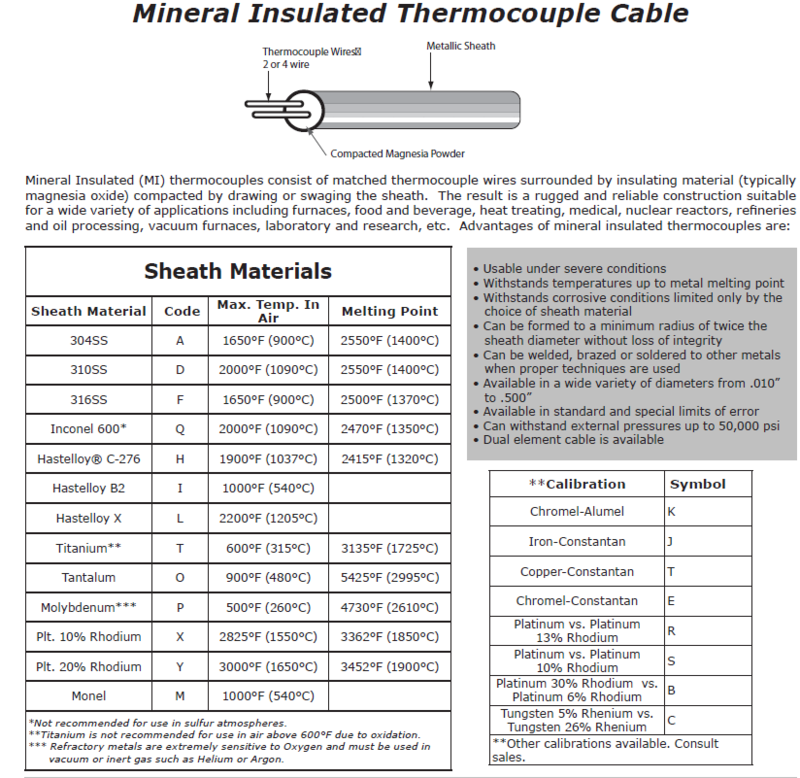 Limiting temperature is associated with sheath material used.